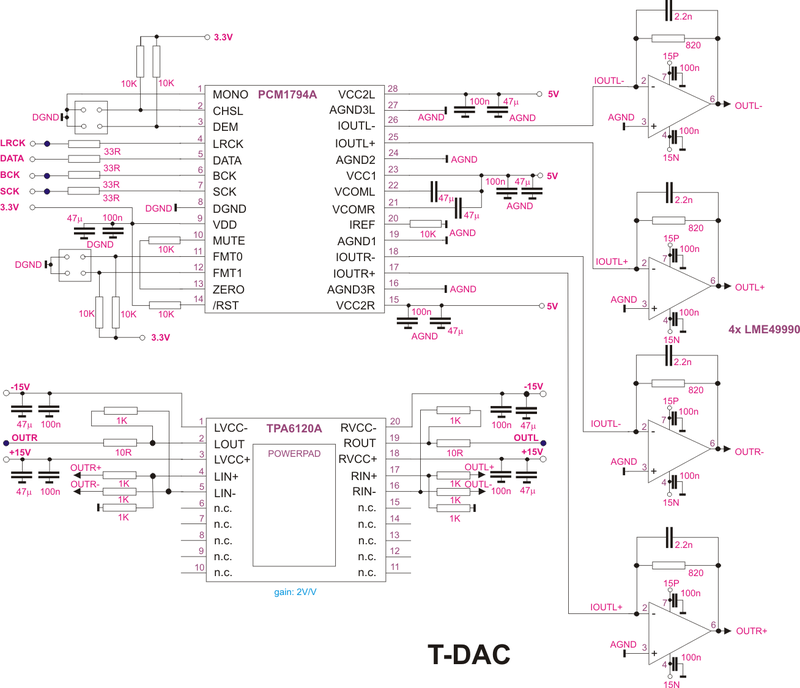 The DAC is a TI PCM1794A. It is used with I2S format which supports 24bit (only) and 48..192 KHz. If we would use the Right Justified format we could support also 16bit samples. A single DAc should be enough. The additional +3dB SNR we cannot process anyway: the headphone audio apmplifier does not provide the needed SNR value. 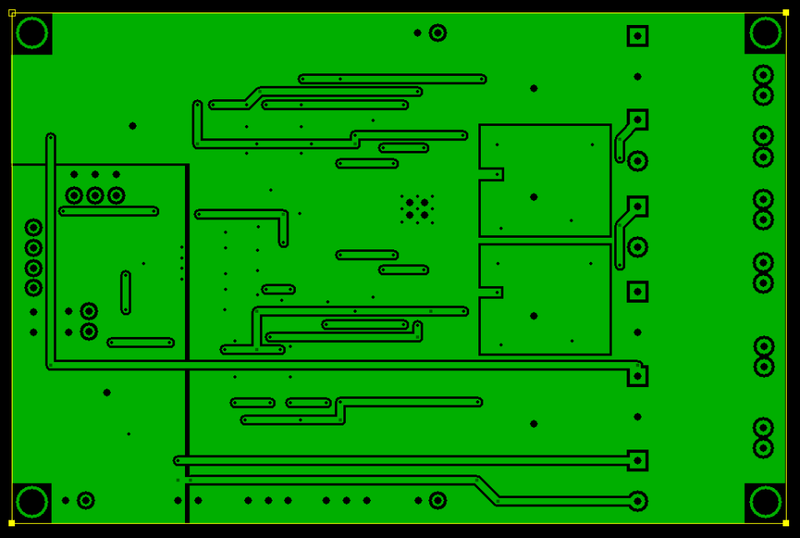 The schematic is based on the suggestions provided in the manufacturers datasheets . For the I/V conversion a high quality OpAmp is used, as LME 49990. It has an amazing SNR parameter and a very low noise figure. A headphone speaker is commonly used. If we use a high quality amplifier it should be possible also to connect a main amplifier with unbalanced input. 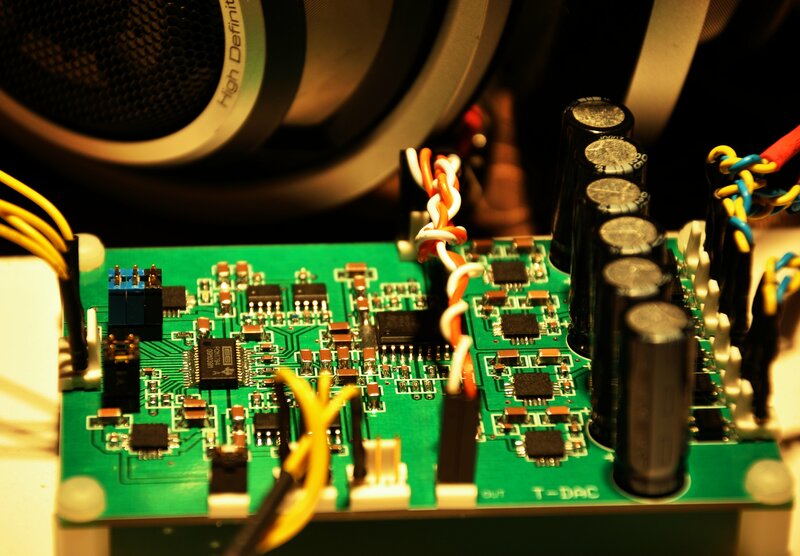 We would need a voltage divider at the audio output! 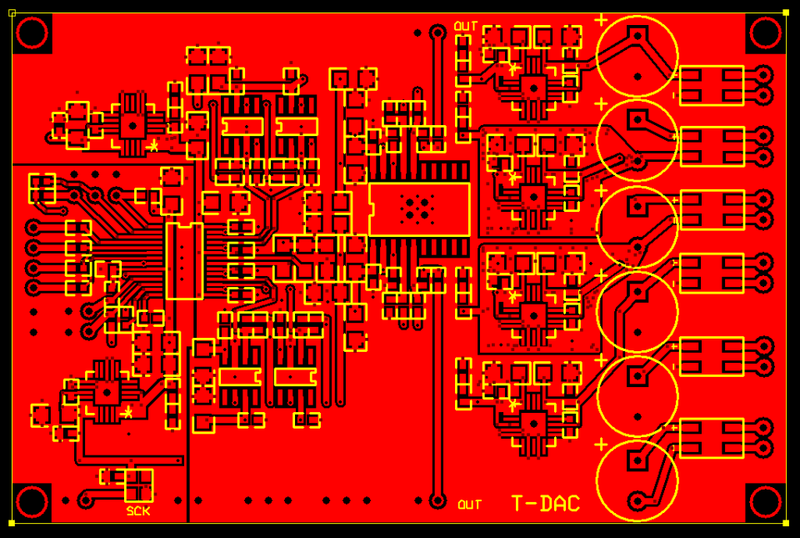 The TI TPA6120A seems to have a high SNR parameter and acceptable noise figure. 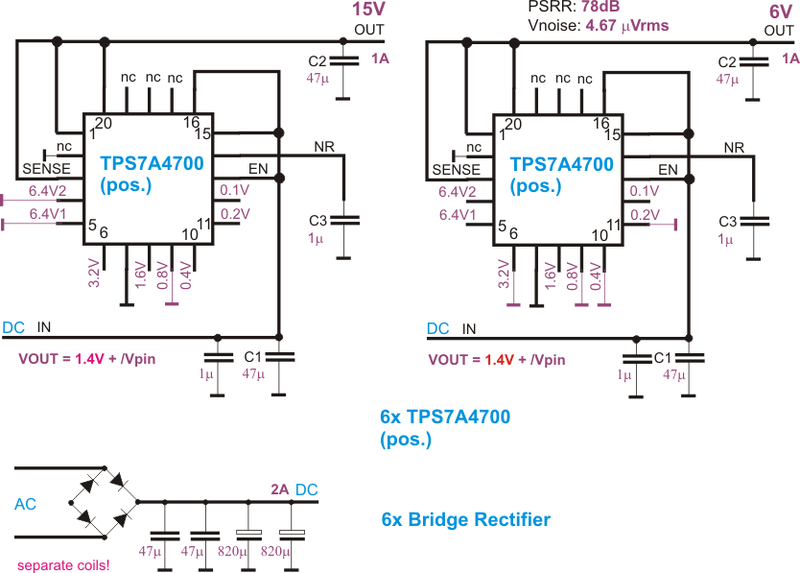 use the same TPS7A4700 also for the negative -15V rail. This is possible if we use a transformer with a separate coil and separate full bridge rectifiers. A negative LDO might not have similar parameters. 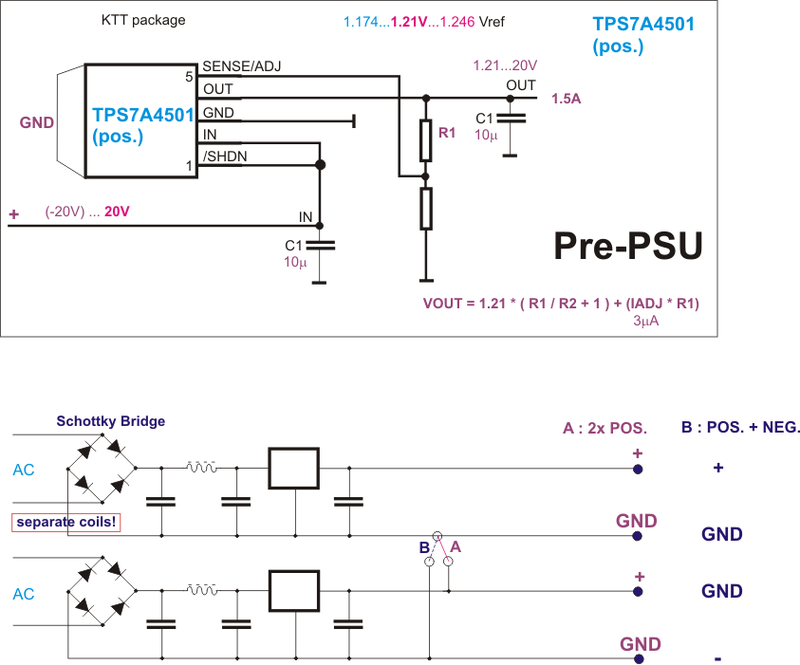 Please, see the datasheet how to ground the control pins in order to have the +3.3V output voltage.